If you’ve been following my blog for some time, you’ll know I’d been engaged in Received Pronunciation acquisition for more than three months. Now I’m going to revisit the General American Pronunciation for a couple weeks in order to fine-tune it and make it more native-like, so you’ll see a few videos posted on this blog within the next couple of weeks dedicated to the American English. Today I’m going to focus on one of the most characteristic sounds in the American English – namely, the DARK ‘L’ SOUND. I believe that if you learn the American ‘R’ sound as well as the dark ‘L’ sound, you’re English is immediately going to resemble that of a native American English speaker, so make sure to watch the video above if you’re not sure of the differences between the two types of ‘L’ sounds in American English! As a rule of thumb, the light ‘L’ occurs when you have the letter ‘L’ in the beginning of words & syllables whereas the dark ‘L’ occurs when the letter ‘L’ is positioned towards the word & syllable endings. My Accent Adventure blog is less popular than my English Harmony blog. Our relationship advisor has pleaded guilty for manslaughter! How long is this going the last for? Our plane is going to land in less than eleven minutes. Can you put the replacement cartridges in a safe place, please? Absolutely! I will tell you all the necessary details in the e-mail. Eating small meals more frequently is more beneficial to your health. Can you pass me the little candle from the top shelf? Medal and metal sounds the same when Americans speak! Did you install the firewall? If your business isn’t profitable, it’s going to go to the wall. Did you drink the whole bottle of oil? All right my friends, that was it for today, if you’re any questions or queries, please don’t hesitate to post them in the comments below! Next post: Ignore Negative Feedback on Your English Pronunciation! 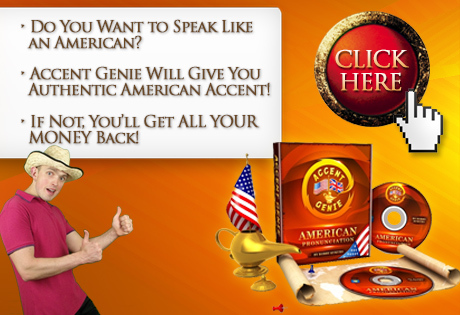 Previous post: Will Any Foreigner Pick Up a Native English Accent Over a Longer Period of Time?